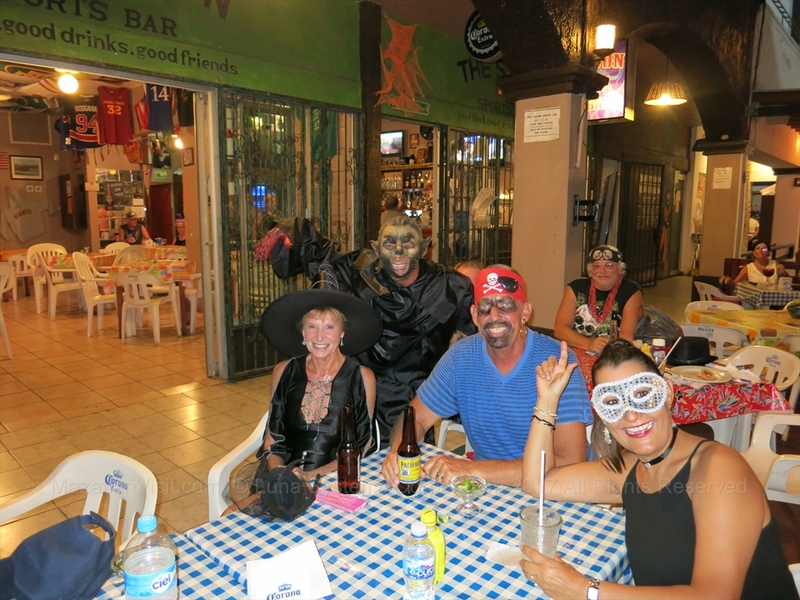 Halloween is becoming more and more popular in Mazatlán every year. It is celebrated on October 31st every year. 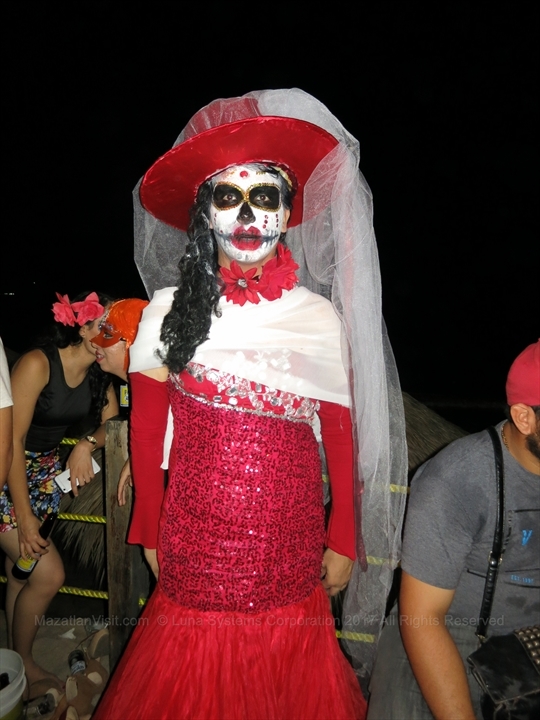 NOTE that halloween is different than Day of the Dead which is celebrated the following day(Nov 1) in Mazatlán. Some children do dress up and go trick or treating in the Golden Zone in the El Cid, Gaviotas, El Dorado and Lomas neighbourhoods. We aren't aware of any haunted houses in Mazatlán. Note to Mazatlán entrepeneurs...this would be a good business venture! 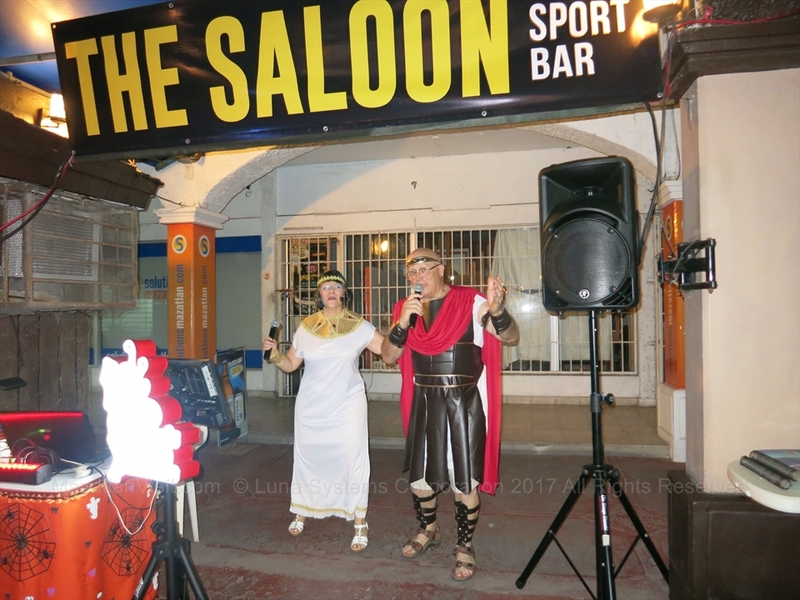 There was one halloween costume store that set up temporarily in 2017 in the Golden Zone on Avenida Camaron Sabalo, across the street from the Hotel Royal Villas. It is unknown if this store will set up again in 2018. If you will be in Mazatlán for Halloween, we recommend that you buy your costume in your home city for the largest selection, but know that you may be able to buy a costume in Mazatlán. 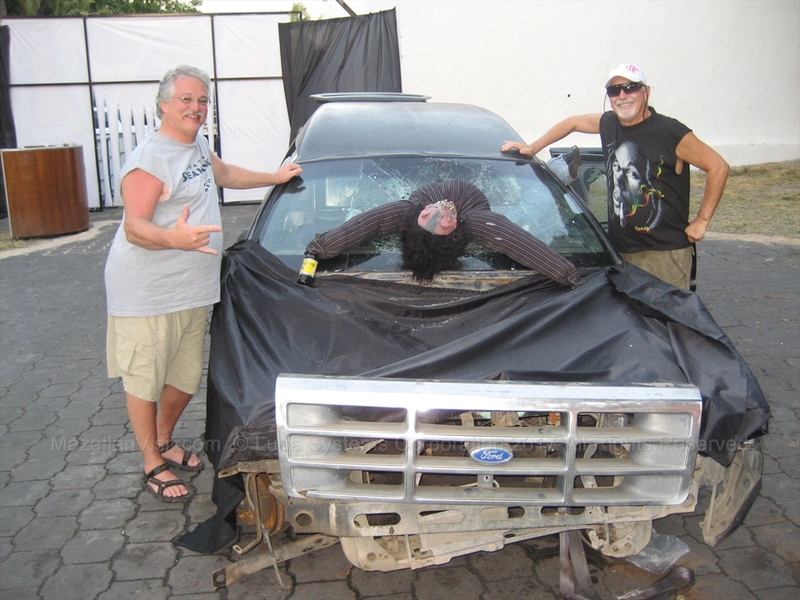 Also, be aware that it is still hot in Mazatlan on October 31 so we don't recommend costumes that have a full mask. We are not aware of any costume rental stores in Mazatlán. If you know of any, please let us know so that we can post the information here! 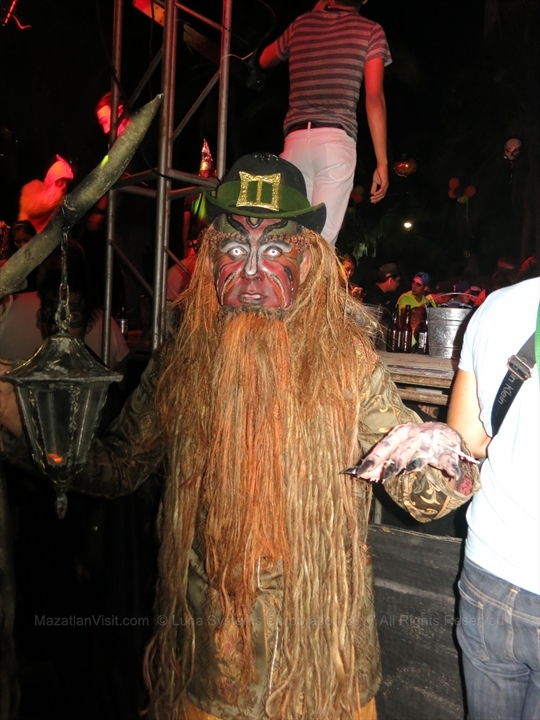 Some of the Nightclubs and restaurants in Mazatlán will have halloween parties. We will attempt to list the places that we find that are having halloween parties. If you do go out for Halloween you should see some fantastic, mainly homemade, costumes! 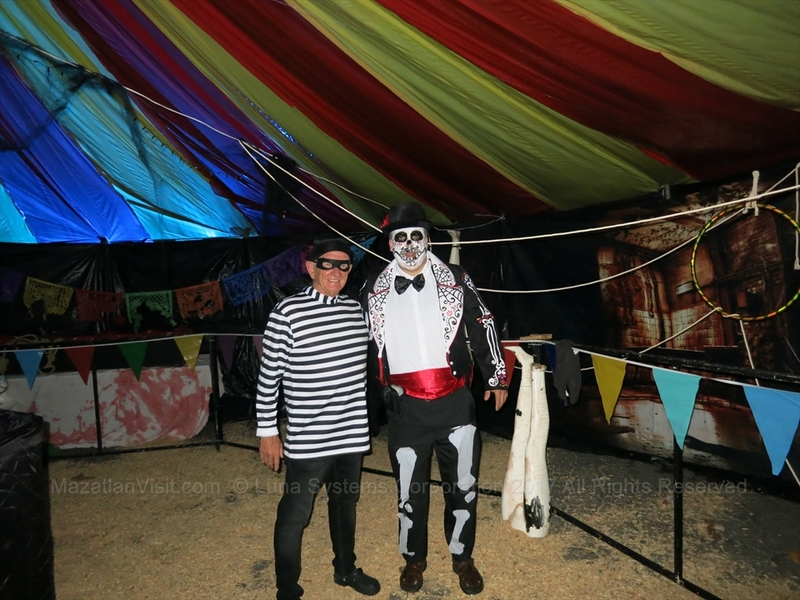 The best and biggest halloween party for the younger crowd in Mazatlán takes place at Joe's Oyster Bar in the Golden Zone. 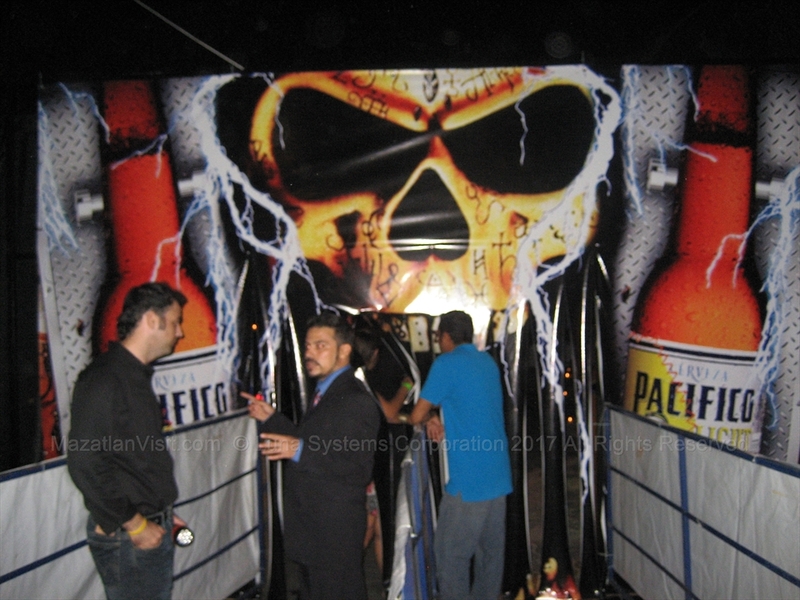 The bar decorates the entrance with a halloween display. A large stage is set up and there is a huge costume contest after 2am for large money prizes! Be aware that it is standing room only during the costume contest. This is the party to go to in order to see the best costumes in Mazatlán. Surf's Up Cafe is hosting a halloween party on October 31, 2017 from 7pm-11pm. It is a fundraisers for the Salvation Army Children's Home Dental Program. There will be live music by Beggars Banquet and dancing. Tickets are MX$350 which includes 2 drink tickets, hors d'oeuvres, and live music. There will be prices for costume categories: scariest, funniest, sweetest, most creative, best couple, best use of items they could find. Tickets sold at Surf's Up Cafe Wednesday to Sunday from 9am-4pm.